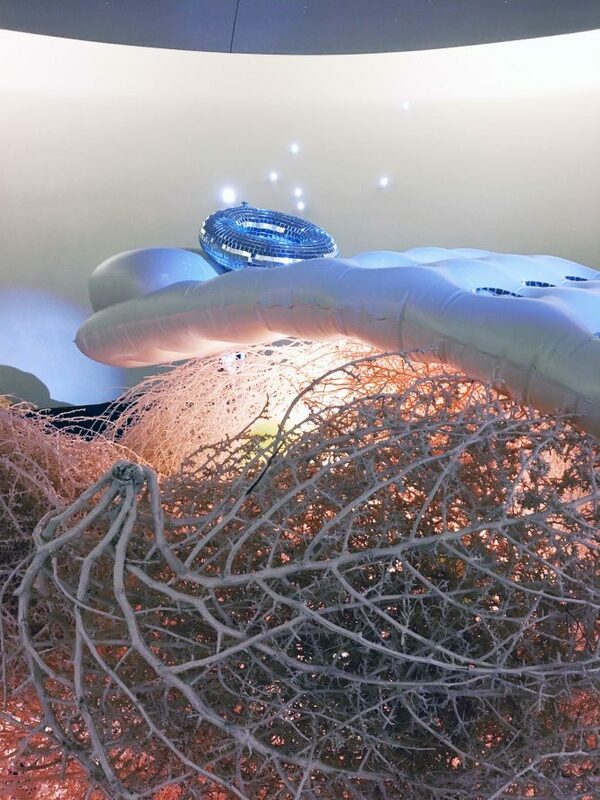 Burn and Fade is an installation of altered tumbleweeds displayed within Sahara West Library’s circular “Grotto” space. Artist and educator Chris Bauder references a ceremonial funeral pyre with this sculptural installation combining modified found objects, plaster casting, light, and a unique manipulation of latex paint. Chris Bauder was born in Las Vegas, Nevada in 1978. He earned a Bachelor of Fine Arts degree from the University of Nevada, Reno, and a Master of Fine Arts, with an emphasis in sculpture, from the University of Nevada, Las Vegas. Bauder’s work has been shown throughout the western United States, and he was selected as a Nevada Arts Council Fellowship recipient for 2013. 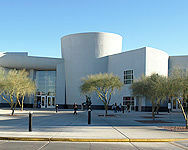 In addition to his art practice, Bauder teaches at the College of Southern Nevada. See more from Chris Bauder at ChrisBauder.com and on Instagram, @seebauderart.